The French champions welcomes a team in great form at this point of the campaign and this is a two-legged tie that could go either way. The hosts struggled in the Last 32, but they have a chance to show their mettle and a good performance in this game will set up a tantalising second leg. The hosts began their European adventure this season in the Euroleague and to be fair, most of the campaign has been a disappointment. However, a change of head coach has brought about some improvement and Dusko Vujosevic holds a 3-1 record in his time in charge at the club. By the end of the Last 32, the French side were ranked fifth for scoring, with 82.3, and were in joint third spot with respect to assists, with 19.2. When Limoges perform well, they defend well, but in their three Last 32 defeats, they gave up an average of 89 points. 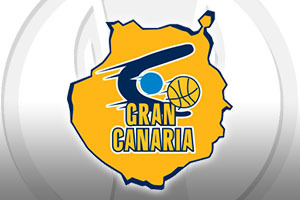 Gran Canaria were the runners up in last season’s Eurocup, and they will be keen to go one better if they can this season. They’ve been on fire of late and a 5-1 record in the Last 32 is definitely something to be proud of. Add in the fact that Las Palmas tied for scoring, with 88.5 points and were the first ranked team with respect to assists, 21.5, for the Last 32 suggests that this is a team that knows how to put the opposition away. Las Palmas know that a good result here can make life a lot easier for them in the home tie but this is a big challenge for the team. This has the hallmarks of a tight game and the bookmakers aren’t working too hard to separate the teams. Taking Las Palmas at +1, which you can find at odds of 1.90, looks like being a good bet for this game. With the Over/Under market, you should look to go OVER 155.0 which you can do so at odds of 1.90. Bet Now!